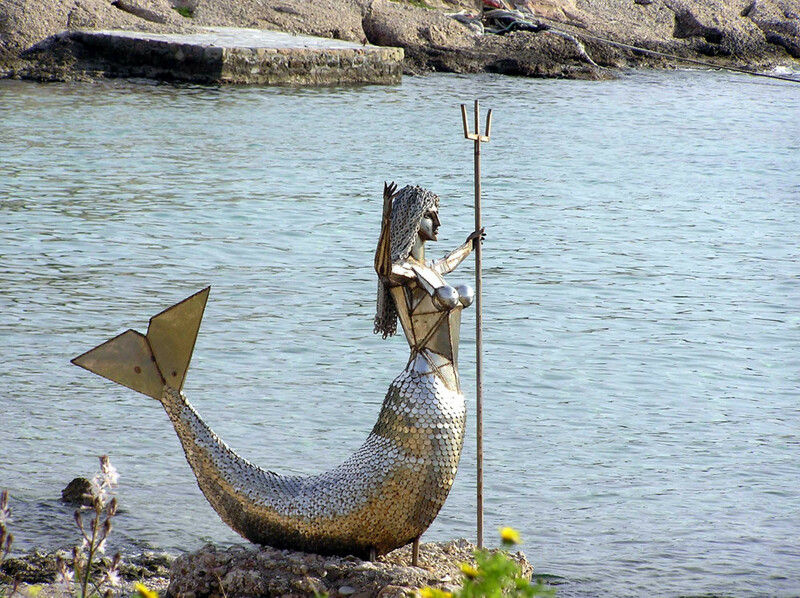 Mermaid Statue on Spetses island. 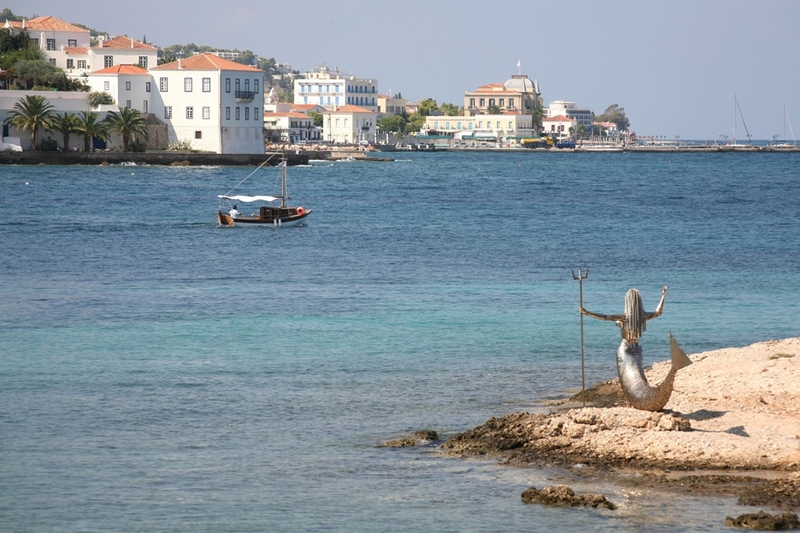 Photo by Dimitra Kalogeropoulou. 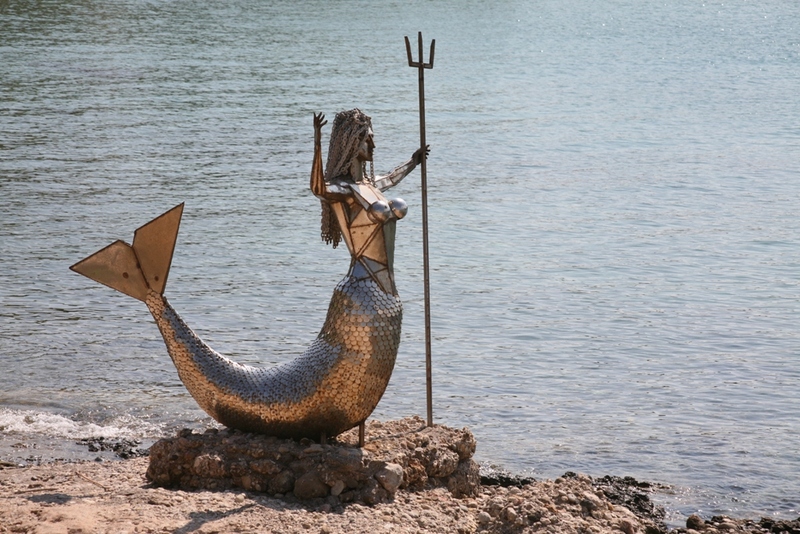 Other statues by Natalia include a famous Spetses war hero and a number of animals, also made from metal sheets and metal parts. 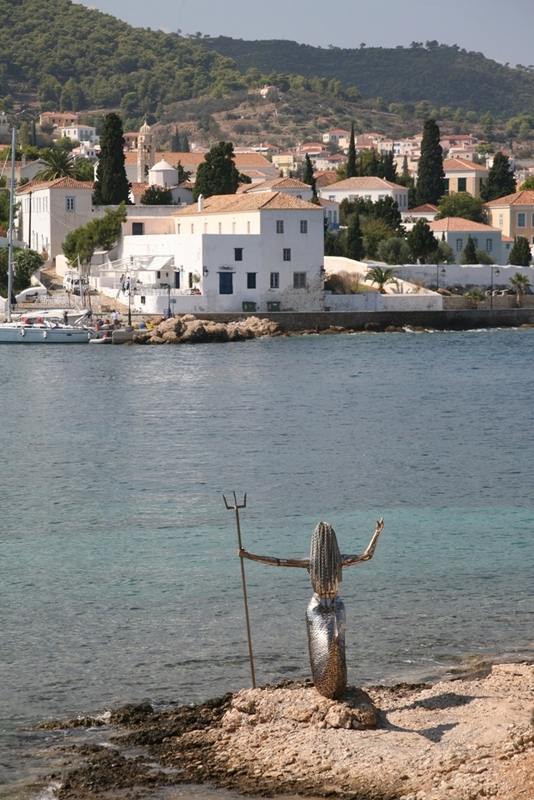 Mermaid Statue on Spetses island. Photo by Bohdan Karmasyn.